Holiday Festive Fragrances by Yankee Candle - A new collection of scented candles for the winter holiday season. 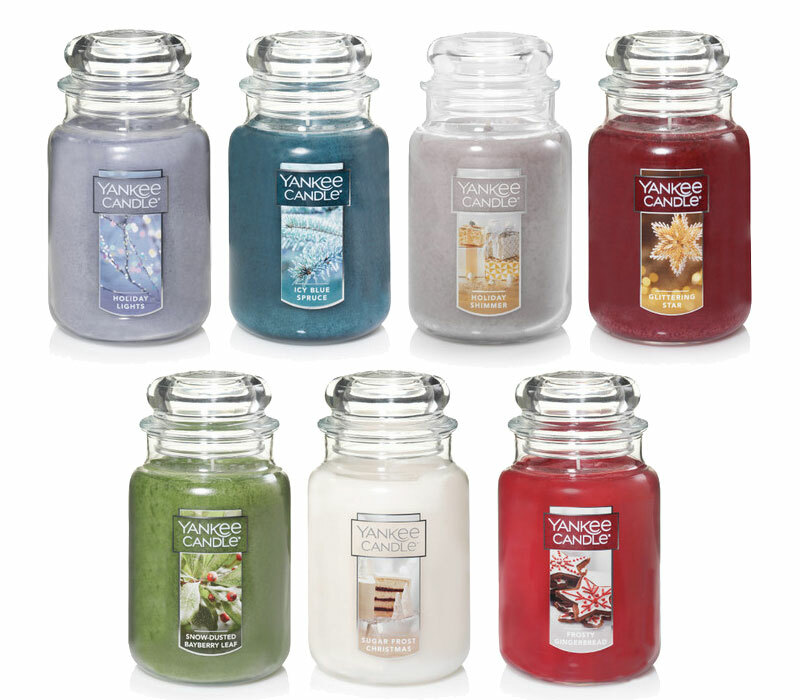 Candles and home fragrances in 7 new scents. Frosty Gingerbread (gingerbread, vanilla), Glittering Star (sandalwood, sugarplum, ginger), Holiday Lights (winter air, jasmine, praline), Holiday Shimmer (mint, musk, champagne), Icy Blue Spruce (juniper berries, blue spruce, spearmint), Snow-Dusted Bayberry Leaf (bayberry, pine needles, mint, vanilla), and Sugar Frost Christmas (sugar, vanilla). Launched in October 2018 and available in classic jar, tumbler, tea lights, and votives candles, melt cups, and wax tarts. Gingerbread freshly frosted -- a holiday delight that fills any room with welcome and warmth. 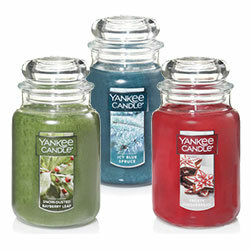 A fresh breath of winter forest -- juniper berries, blue spruce, spearmint leaves. Fresh-baked and topped with creamy vanilla frosting -- a delicious holiday treat.